With the Super Bowl being held in Houston, Texas, advertisers spotted a glorious opportunity for some marketing this side of the Atlantic. 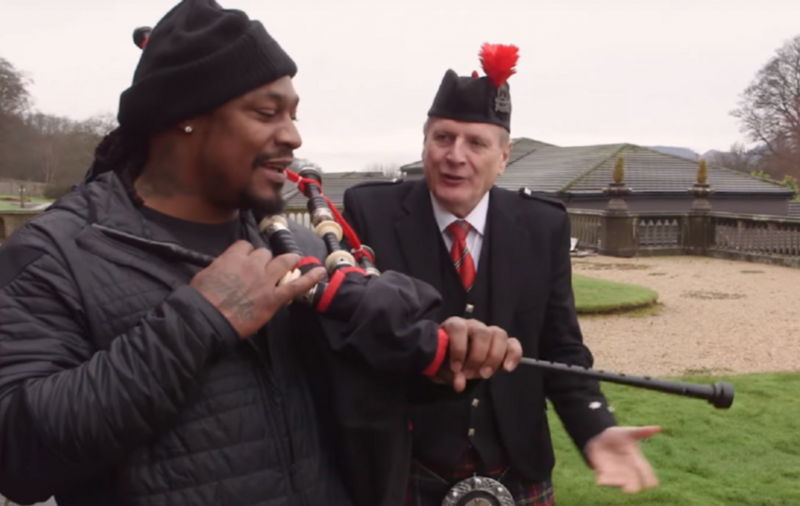 Armed with a bike laden with Skittles – obviously – Seattle Seahawks running back Marshawn Lynch was sent to Houston in Scotland, to get acquainted with the locals. 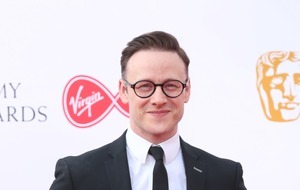 It’s fair to say Lynch, 30, received a warm welcome in Scottish Houston, which is to the west of Glasgow, despite being attacked by some sword-wielding locals in kilts – but we’ve got to say it would be difficult not to like someone loading your arms with free sweets. A Superbowl winner with the Seahawks in 2013, Lynch was treated to a bagpipe practice, a lesson in local history and even took a look at some kilts – and managed to pull off riding a bicycle with a basket. Doesn’t seem like you’ll be seeing a Beast Mode tartan hitting stores any time soon. The New England Patriots face the Atlanta Falcons in Superbowl LI this Sunday if you’re up for staying up to ridiculous o’clock to watch it – the match starts at 11.30pm GMT and should be finished by about 3.30 on Monday morning.